A preferential EU-Turkey trade deal for agricultural goods produced with Syrian labour could be a “game-changer” for the integration of Turkey’s Syrian refugees into society and the economy, reported U.S. think tank the Brookings Institution. Turkey hosts some 3.5 million refugees from Syria. In 2016, the Turkish government enabled Syrian refugees to obtain work permits, yet in nearly three years only around 25,000 permits have been issued. Rising unemployment (13 percent in 2017) and high rates of youth unemployment (around 19 percent) in Turkey suggest that there simply are not enough jobs for all. As a result, up to 40 percent of working-age Syrian refugee men are working informal jobs, off the books. “This leaves them vulnerable to exploitation, depresses wages and employment prospects for local unskilled labour, and can fuel resentment among host residents, at times leading to violence,” wrote Kirişci and Brandt. Turkey needs a plan that goes beyond humanitarianism and brings together diverse actors, including the international and business communities, said Brookings. “Such arrangements already exist. The compacts that the EU signed with Jordan and Lebanon in 2016 that facilitate the export of industrial products involving refugee labour are a good, if imperfect, example,” they wrote. The EU is discussing a similar arrangement with Ethiopia, while others have suggested Bangladesh, and its sizable Rohingya community. “These sorts of arrangements are among the most interesting and innovative ideas that the new Global Compact for Refugees (GCR), adopted at the United Nations late last year, advances,” said Kirişci and Brandt. Compact members seek preferential trade arrangements, especially for goods and sectors with high refugee labour participation. Turkey has had a customs union in place with the European Union that allows industrial goods to enter EU’s internal market without duties or regulatory restrictions. But agricultural products are largely excluded from the deal. The EU and Turkey had previously agreed to extend the customs deal to agriculture, but that was put on hold in the aftermath of the July 2016 coup attempt in Turkey. Negotiations on a preferential trade deal could help overcome the deadlock, they wrote. 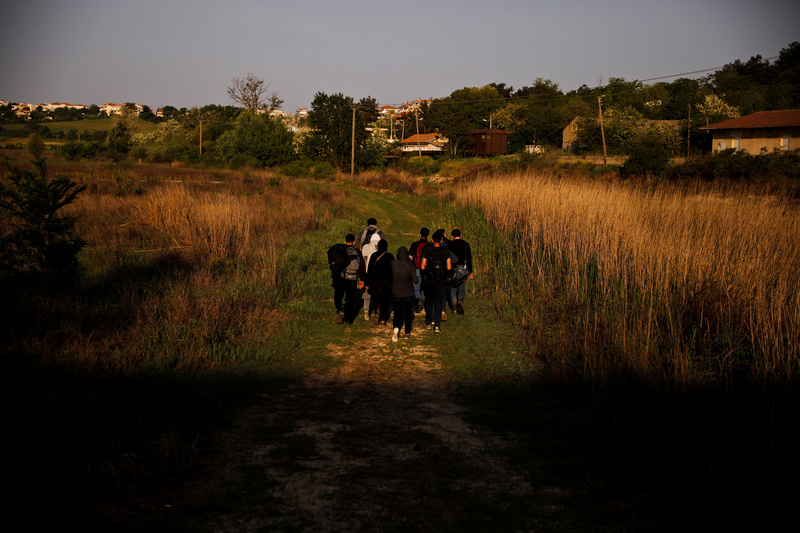 There are at least two good reasons for the EU to do this: it can halt another wave of refugees arriving on its shores, and it can set a precedent that would encourage other refugee-hosting countries to offer their own plans. “A preferential trading arrangement between the EU and Turkey that covers agricultural products produced with a threshold level of Syrian labour could be a game-changer. It would enable larger numbers of Syrian refugees, as well as host community residents, to find legal employment in Turkey; add value to the Turkish economy; enable Turkey to better integrate some of its 3.5 million Syrian refugees; and contribute to greater social cohesion, potentially dampening Syrians’ temptation to move to Europe,” wrote Kirişci and Brandt. As the conflict in Syria continues—and as doors around the world close—neither return nor resettlement appear to be realistic, durable solutions for Syrians in Turkey.